The whole Jamaican island is a breathtaking vision of furrowed lush mountains which drop off into the sparkling blue sea below. But you need to know where to explore to make the most of your Jamaican holiday. Check out our seven favorite activities and spots to experience Jamaica’s unique beauty, rich culture and decadent cuisine. Just off the end of Negril’s east end is a small island called Booby Cay. Take a boat ride to the island for a day spent snorkeling in the shallow waters where you can spot colorful fish, rays, and sea fans. Follow a day in the sun with a lobster feast on the beach, where you can relish fresh lobster cooked over a fire. There is no better place for a refreshing swim than the picturesque Frenchman’s Cove, where you can enjoy the calm waters of the small river near Port Antonio. As the tide comes in and out, you will be sucked from the chilly stream into the warm sea, allowing you to feel like you are having a natural water massage. 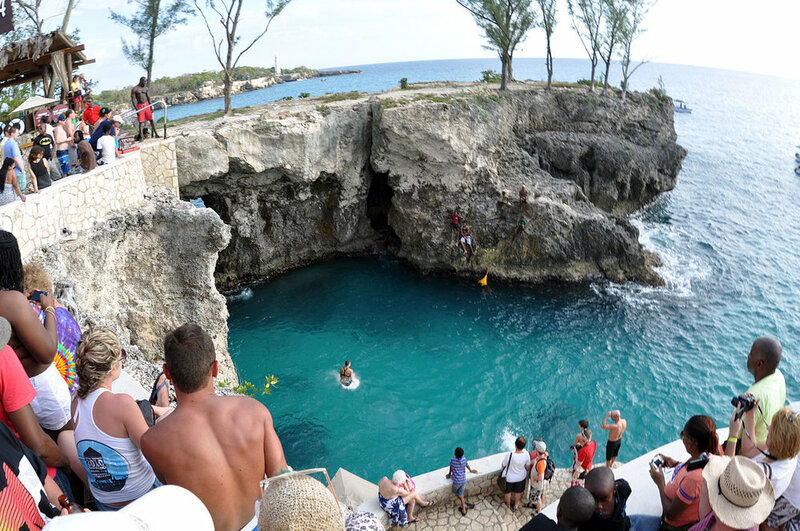 Sadly, this is one of Jamaica’s least exposed attractions while being one of the best. The Falmouth Glistening Waters are unlike anything you have ever seen. Take a boat ride to the middle of the lagoon, and watch as the water lights with every movement. Once you get in the water, you will turn into a glow in the dark water creature, which will be one of the most amazing night swims you will ever have. You can find this and similar tourist attractions in Jamaica. Negril’s West End is well-known for its limestone cliffs which are lined with gorgeous hideaway villas and hotels that overlook the turquoise sea. But no hotel blends luxury and rustic vibes quite like Rockhouse. If you have the money, get a freestanding villa, which is made of stone and timber, and boast private outdoor showers. Spend an afternoon exploring the Cliffside marine life for a once-in-a-lifetime experience. Jamaica is unique in that it is not just blue waters and white sand, but rather a wide array of natural wonders. Lime Tree Farm is located high up in the hills of the highest mountain range in the Caribbean – the Blue Mountains. The farm is a working coffee plantation which is surrounded by 7.5 acres of coffee beans. This eco-friendly estate features four cottages, a local chef, and yoga. You will need a guide to find this well-hidden restaurant in Port Antonio. Everol Daley serves incredible Jamaican cuisine cooked over the flames. You need to call ahead to check that he has fresh crayfish available, which is caught in the Rio Grande River located nearby. You will be able to enjoy spicy and sweet food that will leave you wanting more. Mento music predates ska and reggae music and is originally from the island. It is known and loved for its acoustic elements, particularly the rhumba box, which is played with the musician sitting on top of it. No trip to Jamaica would be complete without experiencing this music, which can be heard live at Port Antonio’s Geejam Hotel every Friday night when the legendary Jolly Boys take the stage. Jamaica is mostly marketed for its crystal clear turquoise waters and white sandy beaches, but there is so much more to see and do which will have you loving the island more than you ever thought possible. Work remotely? Want to spend a month in Europe?